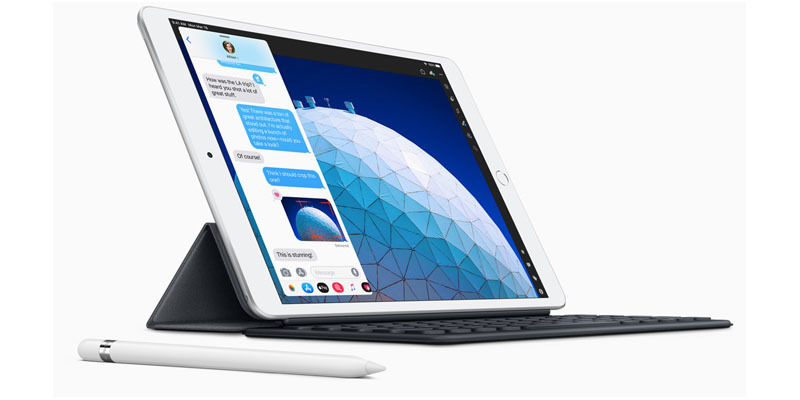 Alongside a new iPad mini, Apple unveiled a new iPad Air tablet today, which borrows several great features from the iPad Pro, including a similar 10.5-inch display with TrueTone, a thin and sleek design, and the powerful Apple A12 chipset. Apple is marketing the new iPad Air with the "power isn't just for the pros" slogan. 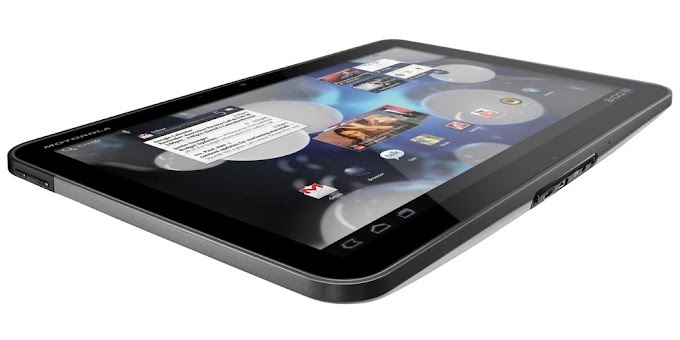 But the company has had forgone some premium features in order to offer an affordable price. The primary an 8-megapixel f/2.4 main camera is capable of 1080p full HD video capture, The front 7-megapixel camera doesn't include features like Portrait Mode for selfies, nor Portrait Lighting, or Animoji. 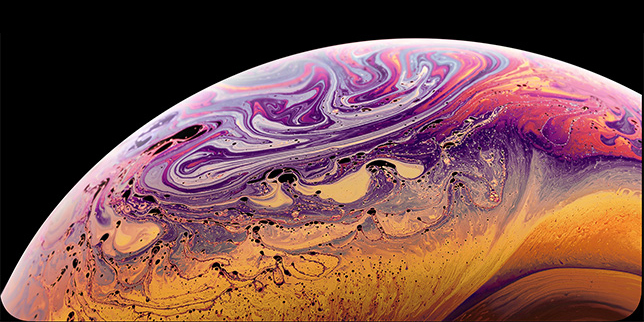 For example, Face ID is not offered on the new iPad Air, instead, Apple uses the older, more familiar Touch ID fingerprint sensors for security. While Apple has introduced Pencil support, the company has opted for the first-generation technology instead of the newer Apple Pencil which features magnetic connectivity, wireless charging, and ability to activate special features by tapping the Apple Pencil. Apple promises the new iPad Air will last for up to 10 hours. The new iPad Air also supports the Smart Keyboard for faster typing. 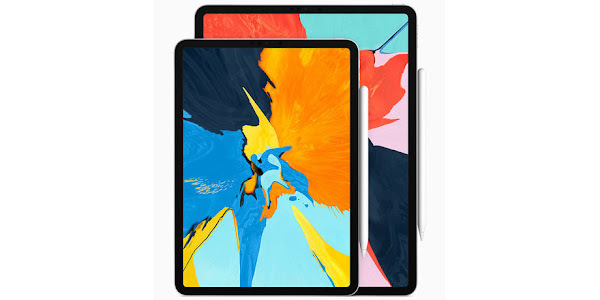 The new iPad Air will be offered in 64GB and 256GB storage variants, with the base model costing $500, while the larger storage will add $150 to the price. Apple will also offer an LTE variant which supports Gigabit-class speeds of up to 866Mbps. This model offers dual SIM with both a nano-SIM slot and eSIM like Apple's newer iPhones. You will be able to purchase the new iPad Air starting today, March 18th in the United States, Canada, the UK, and most Western European countries. China, Mexico, and several other countries can purchase the iPad Air starting a week from now.